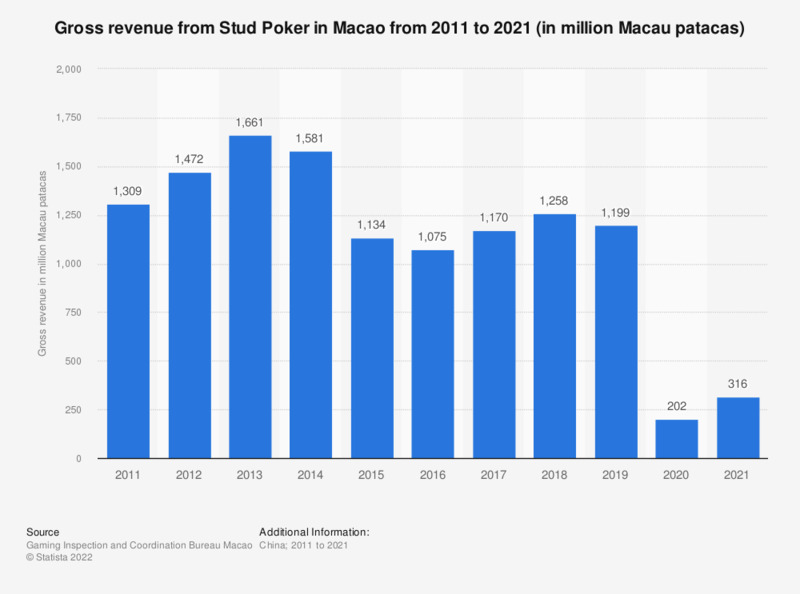 This statistic shows the gross revenue from Stud Poker in Macao from 2008 to 2018. The card game Stud Poker generated approximately 155.6 million U.S. dollars in gross gambling revenue in Macao's casinos in 2018. The source does not provide a date of publication. The date given is the date of data access.